Zingerman's Classics Club for sale. Buy online at Zingerman's Mail Order. Gourmet Gifts. Food Gifts. 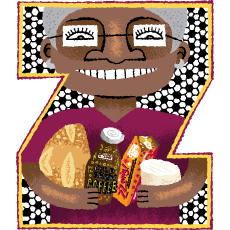 Most folks know that Zingerman’s is a Delicatessen—that’s how we started, back in 1982. But now, three and a half decades later, we’re a whole community of businesses across Ann Arbor. In addition to making sandwiches, we’re bread bakers, cheese makers, chefs, candy crafters, and much more. You could come to Ann Arbor and spend your whole day eating your way through all of the Zingerman’s establishments—or, you could bring the foods to you. We’ll ship the best of the best from our community to your doorstep, highlighting a new business each month. Have your cake—and your corned beef, and your mac and cheese—and eat it at home, too.